Mix 1T (14g) olive oil and tomato sauce well. Set aside. Season chicken lightly by sprinkling salt and fresh ground pepper. Mix almond flour, salt, dried dill, oregano, and basil. Dip each chicken in the egg, and then roll them in almond flour mixture to coat both sides. Heat 4T olive oil in medium-low heat. Fry the chicken until fully cooked. Only about 1T will be absorbed, so only 1T (14g) is calculated. 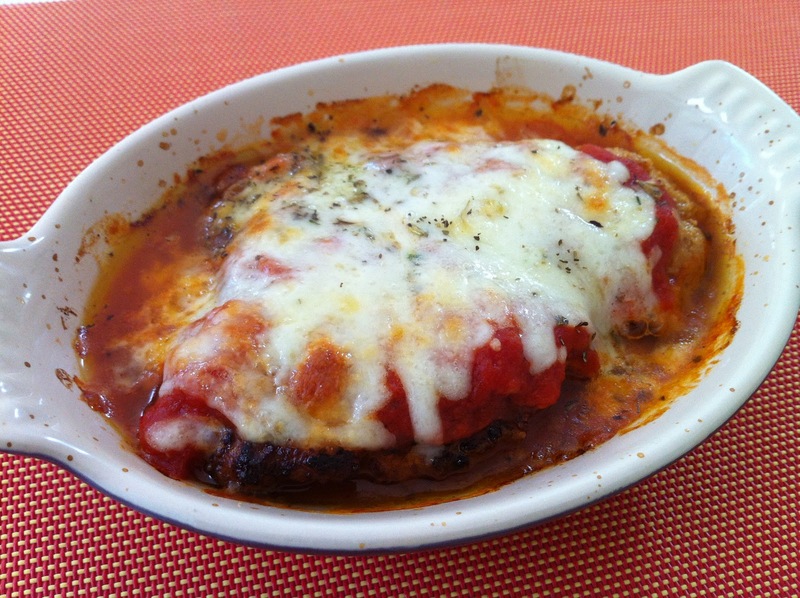 Place the chicken in a ovenproof dish, and pout the tomato-olive sauce over the top. Sprinkle the mozzarella cheese and top with parmesan cheese and herbs de provence. Bake it at 375F for 15 minutes.